Aberdeen businesses have reported a significant boost in trade over the weekend following large crowds in the city centre for Celebrate Aberdeen and the Great Aberdeen Run. Business organisation Aberdeen Inspired has been in touch with traders to assess the impact of the two events – with initial feedback highlighting that some saw an increase of more than 30 percent increase in sales compared to a normal weekend. Thousands of people spent time in the heart of the city as part of the Celebrate Aberdeen parade and musical performances over Saturday and Sunday as well as the Great Aberdeen Run. “Sunday was really special and to see Union Street geared up for such a great running event was fantastic. The buzz it created in the city was amazing. Craig Willox, owner of Books and Beans, also saw a significant increase in trade which was also boosted by the substantial number of people who visited the Belmont Street Market. “To see the thousands of runners and well-wishers descend on our city over the weekend was very pleasing indeed and we are very proud to have worked with Aberdeen City Council and the other key partners to help deliver Celebrate Aberdeen and the Great Aberdeen Run over the weekend. “This success clearly demonstrates the growing ambition we have for this city and we look forward to welcoming even more runners, from the city, region and beyond, for next year’s event as it establishes itself nationally as a ‘must attend’ event on the circuit. “Of course, an acid test for my organisation is business feedback and the initial soundings from many of the retailers in the city centre has been very encouraging indeed. “We’re now looking to the opening night of the Aberdeen Comedy Festival on Thursday, October 5, with this event being the third largest of its kind in the country, after proving hugely popular last year. Organisers of Celebrate Aberdeen have welcomed a sponsorship boost from a leading oil and gas company as they aim to hold their largest ever event in the city this year. Nexen Petroleum UK Ltd have provided £8,500 in sponsorship for the summer extravaganza which features Union Street mile running races, a third sector parade and musical performances across the city centre. Nexen joins existing sponsors CNR International (UK) Ltd, as well as event partners, Aberdeen City Council and Aberdeen Inspired, who help to fund the annual event which was first held in 2011, and media partner Northsound Radio. As well as local charities, social enterprises and voluntary groups, musicians and city sports groups have been invited to take part in the event which will be held on Saturday, August 26 and Sunday, August 27, alongside the inaugural Great Aberdeen Run. More than 140 local groups have signed up to ensure their place in the celebratory parade since the date of the event was announced earlier this year. “Giving back to the communities where we live and work is deeply rooted in Nexen’s values and we are very excited about our partnership with Celebrate Aberdeen. Our investment in the event reflects the importance Nexen places on supporting the third sector and the excellent work they do. “We’re delighted to welcome Nexen to the Celebrate Aberdeen family and look forward to working with them in the lead up to our event this summer which will be the biggest and best yet. 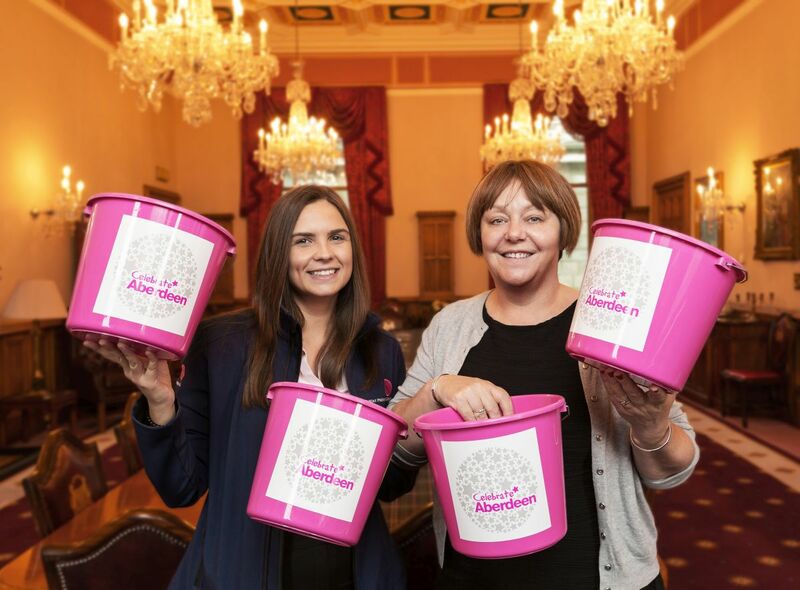 “We rely on support from organisations like Nexen and CNR International, as well as our key partners Aberdeen Inspired, Aberdeen City Council and Northsound Radio, to make the event happen and I’d like to thank them for all of their fantastic support. 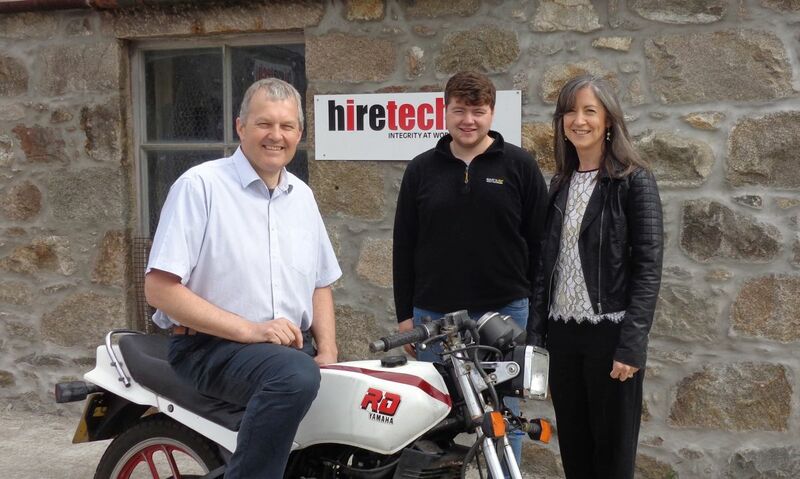 Andy Buchan and James Farquhar of Hiretech with Michelle Ferguson from Cash for Kids. An Aberdeenshire man has raised over £1,000 to help support sick, disabled and disadvantaged children living in north-east Scotland. Andy Buchan, managing director of oil and gas equipment rental, service and maintenance firm Hiretech Limited, presented Aberdeen-based charity Cash for Kids with £1,076.50 following a series of fundraising events. The big-hearted businessman used the occasion of his 50th birthday to raise money for the local children’s charity, requesting donations in lieu of presents. A subsequent fundraising motorcycle ride with friends and colleagues to the west coast helped to swell the final total. Eight fellow bikers joined Andy on the return trip from Hiretech’s office at Hatton of Fintray to Applecross, with the route also taking in Ullapool and the Bealach na Ba. On the 450-mile journey the bikers received light-hearted fines for any misdemeanours and breakdowns. Andy stipulated that all bikes should be pre-1979 models, a rule he himself broke – and was fined for – by choosing to ride a 1986 Yamaha RD125LC. The group was supported on the trip by Hiretech apprentice engineer James Farquhar. His services were put to use within minutes of the journey commencing when one of the bikes broke down around two miles outside Hatton of Fintray. A keen motorcyclist, Andy has supported many charitable causes in recent years and was inspired to support Cash for Kids due to its local nature, with all funds being raised and distributed in the north-east. Andy first became aware of Cash for Kids 20 years ago when he played the guitar in a friend’s punk band at an event that raised money for the children’s charity. Cash for Kids will use the donation to help fulfil applications to its unique quarterly grant funding programme. The scheme provides grants to individuals, families and community groups to support children and improve their quality of life. Applications need to be endorsed by a third party, such as a social worker or health visitor, and the deadline for applications in the current quarter is Wednesday, 19 July. “We are very grateful to Andy and his family, friends and colleagues for their generosity. The bike trip sounds like it was an eventful journey from the outset and illustrates how fun and imaginative fundraising can be. To help fulfil future applications to its grant funding programme, Cash for Kids is running a major appeal throughout 2017. It is encouraging 500 people in Aberdeen and Aberdeenshire to sign up to its 500 Faces campaign and commit to each raising £100 before the end of December 2017. Further information is available at www.northsound1.com/faces. 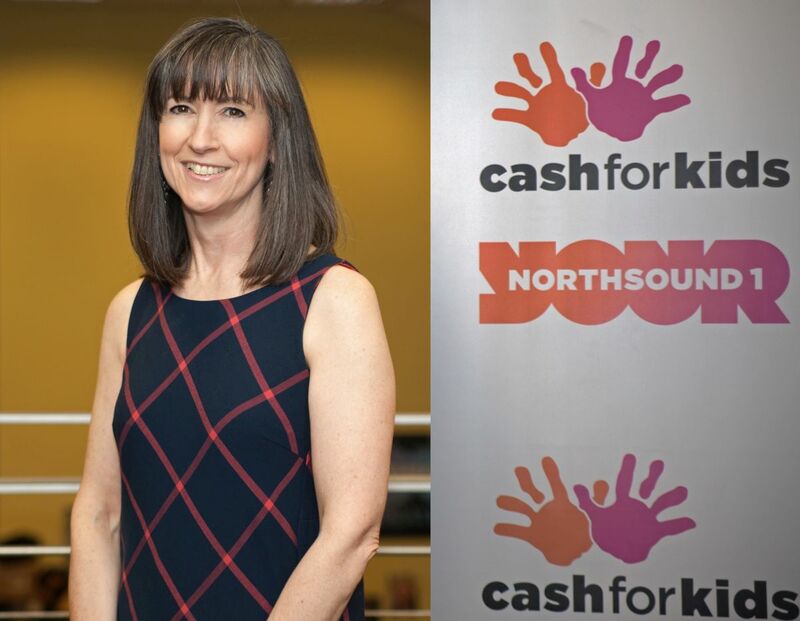 Cash for Kids is an Aberdeen-based charity that works to improve the lives of sick, disabled and disadvantaged children and young people under 18 living in north-east Scotland. The community-focused organisation is Northsound Radio’s listeners’ charity. Along with running a number of campaigns throughout the year, including its annual Mission Christmas children’s gift appeal, Cash for Kids operates a unique quarterly grant giving programme. Grants are made to individuals, families, children’s groups, organisations and projects throughout the Northsound transmission area. All of the money that is distributed to these local families and projects has been raised locally. More information on Cash for Kids can be found at www.northsound1.com/cashforkids or telephone 01224 337010. 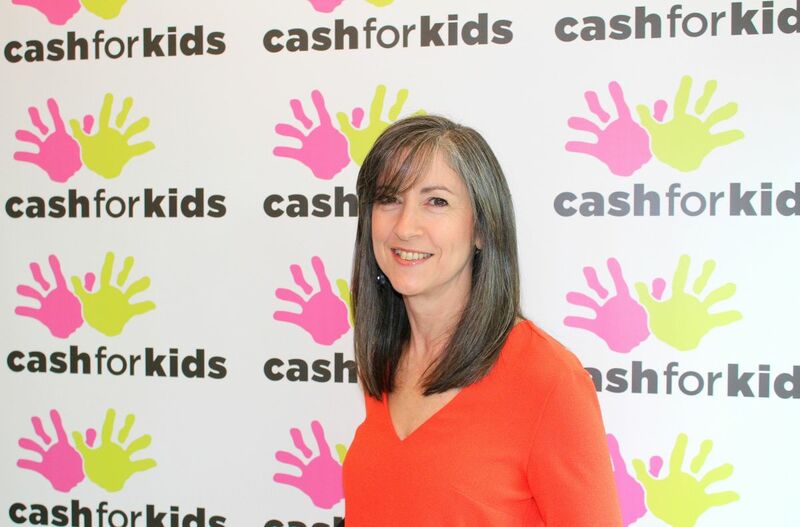 Michelle Ferguson, Cash for Kids charity manager. An Aberdeen-based children’s charity has distributed over £17,500 of funding to 24 families and community groups to improve the lives of children living in north-east Scotland. 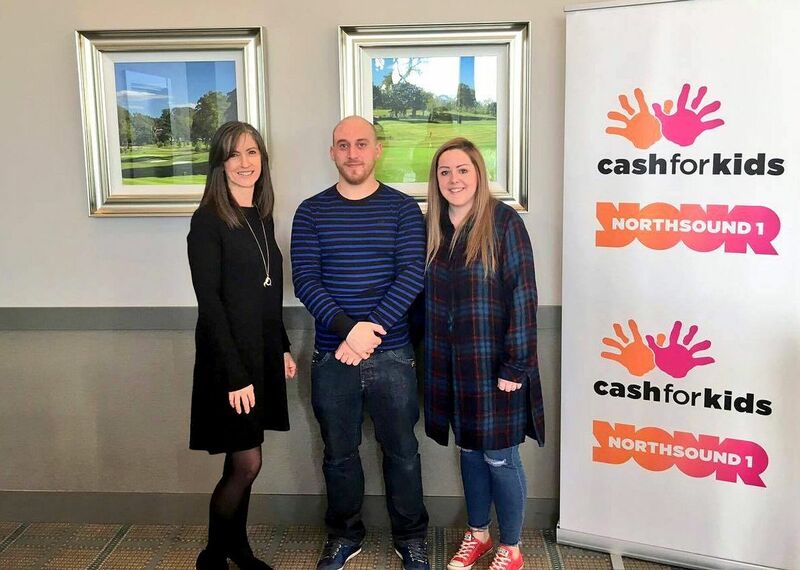 Cash for Kids, which supports sick, disabled and disadvantaged children living in Aberdeen and Aberdeenshire, has made the awards as part of its quarterly grant funding programme. The programme’s broad remit ensures the charity is able to fulfil a diverse range of applications each year, some of which are not eligible for funding from other sources. 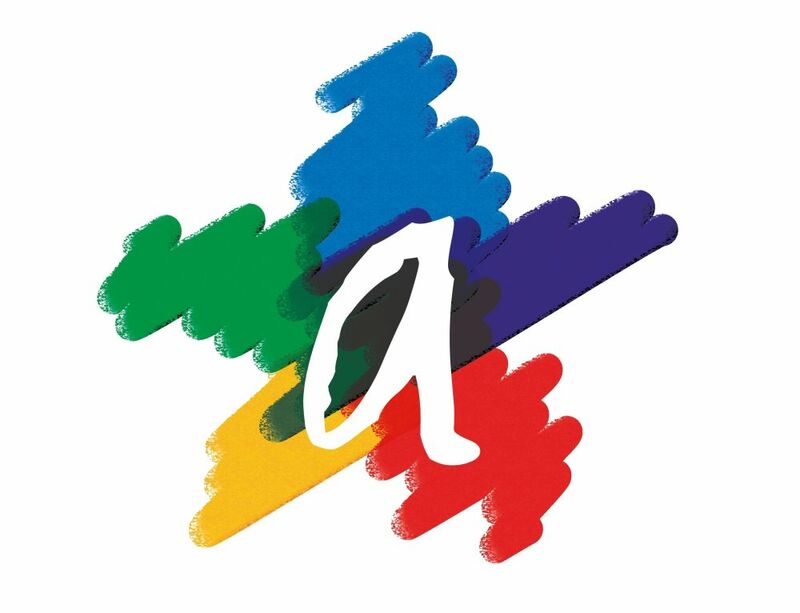 Two of the beneficiaries in the recent funding round are the Community Resources Hub at Aboyne Academy and local charity KidsOut – both provide activities for children with physical and learning disabilities. The Community Resources Hub at Aboyne Academy caters for children with medium to severe and complex educational needs. Unable to participate in mainstream education, they are taught a life skills orientated curriculum that meets their individual needs. The hub has been granted over £300 to give the children a one-day sailing session at Loch of Skene with Aberdeenshire Sailing Trust. This session will allow the children to sample a new activity and develop their self-esteem and personal and social skills. KidsOut is a local charity run by 17 Rotary clubs based in Aberdeen and the surrounding area. The charity has received £3,500 to help stage its annual fun day at Craibstone Estate. Last year, around 600 children with disabilities from 35 local primary schools attended the event and enjoyed a range of activities and experiences. The funding will be used to help cover the cost of transporting the children to the event in June. Cash for Kids distributes grant funding at the end of January, April, July and October each year, with applications assessed by its board. All applications must be endorsed by a third party, such as a social worker or health visitor, and applications for the next funding round must be submitted by Wednesday, 19 April. Last month, in order to help fulfil future applications, Cash for Kids launched a major appeal to raise £50,000. The 500 Faces campaign looks to recruit 500 people from Aberdeen and Aberdeenshire who will each commit to raise £100 for the charity by the end of December. A number of tradespeople, schoolchildren and local shops have already signed up to the initiative. “Cash for Kids’ quarterly grant funding programme is a central and important part of what the charity does. We look to support as diverse a range of requests as possible each quarter and encourage applications from across the region. “All of the money Cash for Kids raises is distributed locally. It is always great to assist projects such as those run by Aboyne Academy and KidsOut that provide disabled children with fantastic new experiences that can help with their development. To register to take part in Cash for Kids’ 500 Faces fundraising initiative, visit www.northsound1.com/faces. Cash for Kids is Northsound Radio’s listeners’ charity. It makes grants to individuals, families, children’s groups, organisations and projects throughout the Northsound transmission area. All money is raised locally and spent locally to benefit local disabled and disadvantaged children and young people under 18. More information on Cash for Kids can be found at www.northsound1.com/charity, or telephone 01224 337010. Regulars at a popular Aberdeen bar have answered a call to raise thousands of pounds for a local children’s charity. With thanks to Ian McLaren, PR account manager, Innes Associates. 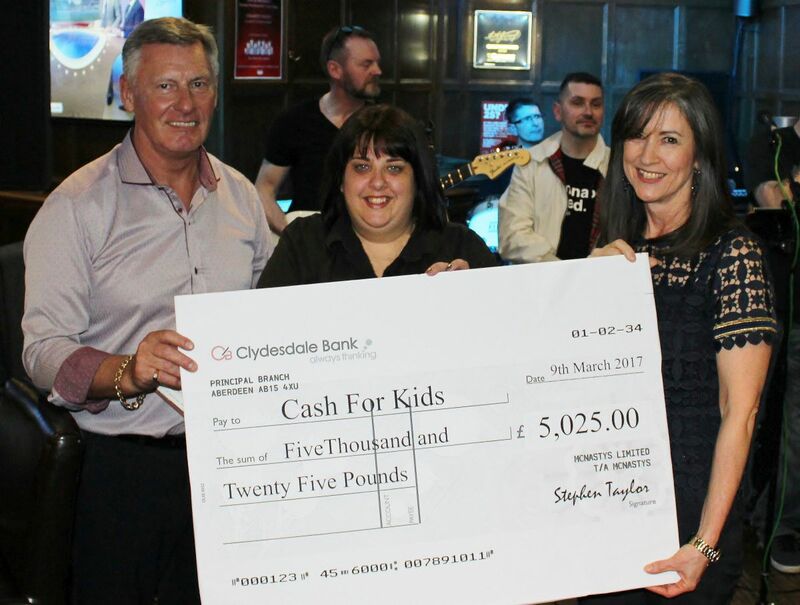 During 2016, customers of McNasty’s on Summer Street dug deep to raise over £5,000 for north-east charity Cash for Kids. The bar’s owners, Stephen and Linda Taylor, were keen to once again support the charity which works to improve the lives of sick, disabled and disadvantaged children living in Aberdeen and Aberdeenshire. This contribution follows £4,000 handed over to the charity last year as a result of fundraising during 2015. Central to McNasty’s annual fundraising initiative is a fortnightly quiz that attracts around 15 teams. The quizzes are set by pub regulars Barry Cooke and Iain Sluyter, something the duo have done in their spare time for the past seven years. In addition to the fortnightly quiz, Barry and his friend Ronnie Falconer, assisted by the team at McNasty’s, have organised a number of other fundraising events at the bar. This has included race nights, raffles and band nights – at which local bands take to the stage free of charge. Amongst the bands that have performed are The Capollos and Winston Smith. Cash for Kids will use all of the money donated by McNasty’s to help fulfil applications to its quarterly grant funding programme. Grants are made to individuals, families and community groups in order to help improve the quality of children’s lives. Applications for the next round of grant funding must be submitted by Friday, 14 April and endorsed by a third party such as a social worker or health visitor. “We’re very grateful to the customers and staff at McNasty’s who helped to raise this brilliant amount during 2016. Businesses committing to this type of fundraising, with the support of their customers, is very important for charities and can help to make a real difference to the lives of the people we support. In Cash for Kids’ case it is the thousands of sick, disabled or disadvantaged children that live in Aberdeen and Aberdeenshire. Cash for Kids is Northsound Radio’s listeners’ charity. It makes grants to individuals, families, children’s groups, organisations and projects throughout the Northsound transmission area. All money is raised locally and spent locally to benefit local disabled and disadvantaged children and young people under 18. More information on Cash for Kids can be found at www.northsound1.com/cashforkids, or telephone 01224 337010. A north-east charity has launched a major appeal to raise £50,000 that will be used to support the region’s sick, disabled and disadvantaged children. Cash for Kids is looking to recruit 500 people from across Aberdeen and Aberdeenshire to be part of its 500 Faces fundraising campaign. Each person that signs up will commit to raising £100 this year in order that the local children’s charity’s appeal target is reached. Tradespeople, work colleagues, groups of friends, families and school classes are all encouraged to take part. It is hoped that the option of spreading fundraising over the course of a year will attract a number of participants. All of the money from the 500 Faces appeal will be used to help fulfil applications to Cash for Kids’ unique grant funding programme. The charity provides grant funding to individuals, families and community groups across Aberdeen and Aberdeenshire on a quarterly basis to help improve the quality of children’s lives. For some families the grant programme is the only option open to them to fund the purchase of specialist equipment for their children, as often there are no other funding mechanisms. Each application made to the grant programme has to be endorsed by a third party such as a social worker or health visitor. The 500 Faces appeal is taking place to ensure that as many grant applications as possible are fulfilled each quarter. Currently, the total value of grant applications received by Cash for Kids outweighs the amount donated by the public and business community. The deadline for submitting applications for the next round of grant funding is Friday, 14 April. Participants have nine months to reach their £100 goal – which equates to £2.50 a week – and can be as creative as they wish with their fundraising. Money can be raised through one-off challenges, a series of events or regular weekly or monthly donations. People are expected to fundraise by undertaking sponsored running, cycling, swimming and even slimming challenges, beard shavings and leg waxing, or simply foregoing a weekly takeaway coffee and donating the equivalent value. For local businesses and tradespeople it may be as simple as donating their tips or a percentage of a month’s takings to the appeal. “The 500 Faces campaign is a really fun way for people to get involved with Cash for Kids and raise money throughout the year. There is real flexibility in how individuals can fundraise and no limit to how much each person raises. “We hope that people across the region get behind the appeal and that all of those who sign up can help motivate one another in achieving their goals. The appeal website has individual and collective totalisers which should help to do this – they’re a bit like high-tech versions of the Blue Peter totalisers. “We are looking forward to our participants sharing their fundraising ideas, which will no doubt create some friendly competition. “When £100 is broken down across the nine months to £2.50 a week, it is a relatively small amount and a manageable fundraising target. The impact that £100 can have on the lives of sick, disabled and disadvantaged children living in our communities is transformational. Cash for Kids is Northsound Radio’s listeners’ charity. It makes grants to individuals, families, children’s groups, organisations and projects throughout the Northsound transmission area. All money is raised locally and spent locally to benefit local disabled and disadvantaged children and young people under 18. More information on Cash for Kids can be found at www.northsound1.com/charity, or telephone 01224 337010. Sick, disabled and disadvantaged children living in Aberdeen and Aberdeenshire will benefit after six local couples said ‘I do’ to raising thousands of pounds for charity for the chance to win a dream wedding. The brides and grooms to be were taking part in Aberdeen-based children’s charity Cash for Kids’ annual Win Your Wedding fundraising competition. On offer for the couple who raised the most money was an exclusive wedding package at a leading four-star Aberdeenshire hotel. In total, the six duos raised £57,191.20 in just two weeks. They took on a wide range of fundraising challenges, including a five-a-side football tournament, pub quizzes, coffee mornings, auctions, bucket collections, a duck race, bag-packing and sponsored leg waxing and beard-shavings. Raising the most money were Ellon couple Natasha Matthew and Grant Reid who collected £12,197.83. The reward for their efforts was a dream wedding day at the award-winning Meldrum Country House Hotel. The winners’ wedding package, which is worth around £25,000, includes a reception in the Oldmeldrum hotel’s new ballroom, which opened last year. Also included in the wedding package are venue décor, a wedding dress, grooms’ wear, flowers, wedding rings, health, fitness and beauty packages, along with wedding cars, photography and childcare for the big day. All of the items have been donated by local businesses. Over the past six years the Win Your Wedding contest has seen couples who are planning to tie the knot raise over £185,000 for Cash for Kids. The charity provides grant funding to individuals, families and community groups on a quarterly basis and all of the money that the competition raises is used to help fulfil these grant applications. The deadline for submitting applications for the next round of grant funding is Friday, 14 April. “We are very grateful to our couples who have all made such an amazing effort to collectively raise more than £57,000. Our thanks must also go to everyone who has helped them raise this phenomenal amount of money by taking part in their fundraising initiatives and donating to Cash for Kids. “Every penny that the couples raised is distributed to individual children, families and community groups in Aberdeen and Aberdeenshire, making a huge difference to their lives. The couples’ hard work and enthusiasm has been second to none. “The support and generosity shown by the local businesses who helped us put together this fantastic package for Win Your Wedding is very much appreciated. More information on Cash for Kids can be found at www.northsound1.com/cashforkids, or telephone 01224 337010. Tim Martin of Ramboll Oil & Gas, meets pupils involved in Northsound Schools Energy Challenge. 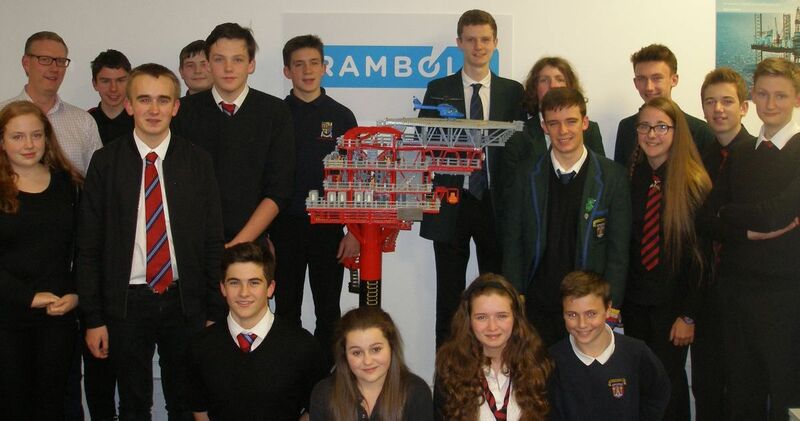 Pupils from four secondary schools in the north east of Scotland attended the Aberdeen office of global engineering consultancy Ramboll Oil & Gas to take part in a quiz designed to test their knowledge of the energy industry. Teams from Dyce, Fraserburgh, Inverurie and Hazlehead Academies took part in the quarter finals of the Northsound Energy Schools Challenge, a hotly-contested annual competition for school pupils in Aberdeen and Aberdeenshire. But those wishing to learn the results of the hard-fought contest will need to tune in to local radio station Northsound One on Sunday, November 29 at 3.30pm. Ramboll Oil & Gas has sponsored the popular energy industry quiz, run annually by Northsound One, in an effort to encourage young people to consider the energy industry as a career option. This comes after an announcement earlier this year that, despite the challenging economic climate, Ramboll Oil & Gas UK will expand its Aberdeen workforce by up to one third after securing £1.3m worth of new work since the start of the year. “At a time when other firms may not be looking to hire, we are in the very fortunate position to be looking towards expansion. There are still a great many opportunities for those wishing to enter the industry. “The energy industry offers very rewarding career prospects, and we are delighted to be involved in a competition that fosters an interest in the industry amongst school pupils. Those competing in the Northsound Energy Schools Challenge are the future of the energy industry, and everything should be done to encourage their passion and enthusiasm. The Northsound Energy Schools Challenge is broadcast on Northsound One every Sunday afternoon at 3.30pm. Ramboll Oil & Gas is a business unit within the Ramboll Group. With more than four decades of experience, the company is a well-established, independent and highly regarded provider of offshore and onshore engineering consultancy services for the oil and gas industry. Today, Ramboll Oil & Gas has offices in the USA, Qatar, Abu Dhabi, India, Denmark, Norway and UK, and employs around 900 specialists. Staff from the Aberdeen office of Lloyd’s Register pulled on their walking boots recently and completed a 26-mile walk in aid of local children’s charity Cash for Kids. A 26-strong team from the global engineering, technical and business services organisation took part in the Aberdeen Kiltwalk, which saw them walk from the city’s Duthie Park along the Deeside Way to Potarch. In the process the group raised over £4,800 for Cash for Kids, which supports sick, disabled and disadvantaged children and young people living in Aberdeen and Aberdeenshire. 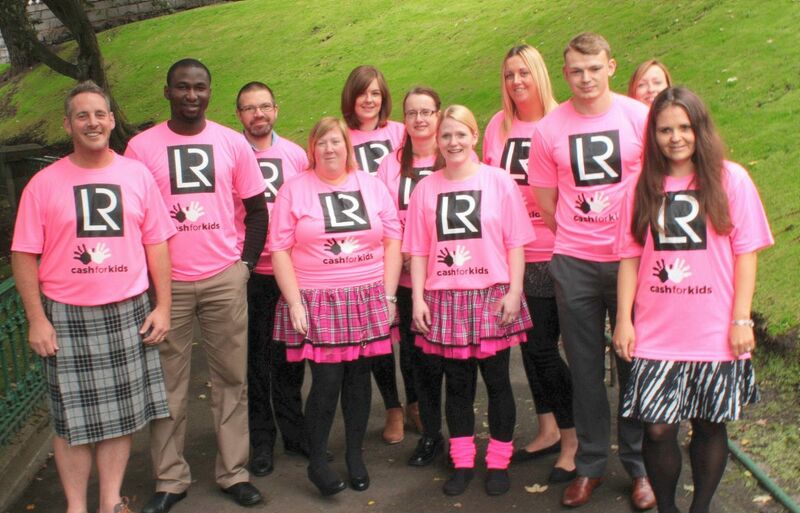 This was the second successive year that a team from Lloyd’s Register had taken on the Aberdeen Kiltwalk. Nineteen staff completed the route last year and encouraged others to participate this year. The team was inspired to complete the walk in aid of Cash for Kids after learning about the work the charity does to support young people living in the region. Both the walk and the charity fit with Lloyd’s Register’s values of supporting local children’s charities, encouraging team building and promoting health and well-being. Staff took the opportunity to strengthen relationships with staff in the firm’s other Aberdeen offices by including them in their team. In total the group raised over £7,700, with £2,900 being distributed amongst the event’s other charity partners. Dressed in kilts and tartan tutus, the group encountered mixed weather on their fundraising stroll. It was warm throughout, and although they basked in some sunshine they did endure heavy downpours of rain and hail. Each team member took an estimated 58,000 steps to cover the distance, with some picking up blisters along the way, caused either by poorly chosen socks or footwear. 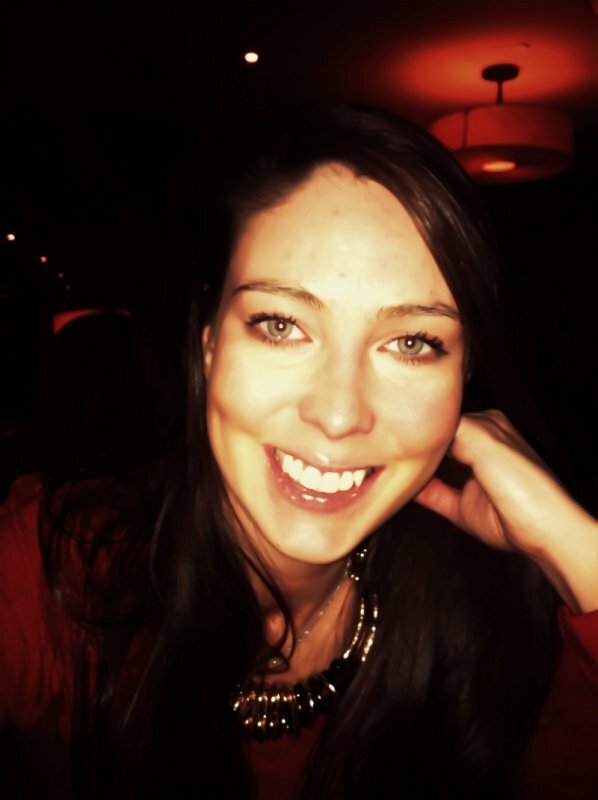 “I came up with the idea of participating in the Kiltwalk in 2014 and roped in a large group of colleagues to take on the challenge. It was such a fantastic experience that I jumped at the chance of participating again in 2015. The aim was to put together an even bigger squad and surpass the phenomenal amount of money we raised last year, which we did. “My walking partner for the majority of the day, Stuart Murdo, and I were first from our team to cross the finish line in a time of six hours and 26 minutes. The final member of the LR Kiltwalk team that I had ‘willingly assembled’ completed the route 10 hours and 9 minutes after setting off from Duthie Park. “As we sat in the park at Potarch, enjoying the live music with some well-earned refreshments, comparing our aches and blisters whilst watching walkers finish the event, it started to hit home with everyone what a fantastic achievement we had made as a collective team. “This was a fantastic effort by all of the Lloyd’s Register team. Walking 26 miles in one go is no mean feat, and resulted in blisters, sore feet and aching joints. The sense of achievement in completing the walk and the knowledge of how much they had raised will no doubt have soothed their aliments for a short while. Momentum is an organisation which helps people with brain injuries reach their full potential. Their third Top Hats & Tiaras Grand Ball takes place on 14 September this year at the Aberdeen Hilton Treetops Hotel. Rhian Johns has benefitted from Momentum’s services, and tells Aberdeen Voice how Momentum helped. Momentum is a voluntary organisation which offers rehabilitation and training services, empowering people with an acquired brain injury to gain the skills and confidence that they need to live independently and to fulfil their employment goals. It is a charity close to my heart as in April 2006, at the age of 20, I suffered a brain haemorrhage followed by long-term ventilation and severe lung complications and now epilepsy. I was in a coma for 5 weeks, Intensive Care for 2 ½ months and another 2 months in the Neurology ward. Following various intensive therapy sessions to aid my physical recovery and to start learning to read and write again, I was well enough to be able to attend Momentum’s Pathway programme in April 2007, as part of my rehabilitation and recovery and with their incredible help and support I returned to Robert Gordon University in 2008, graduating in 2011 with a BA in Fashion Management. Since coming out of hospital, it has been the hardest time of my life, but Momentum helped me to get my life back on track. They helped me to realise and understand exactly what had happened to me and how to cope with it. I really appreciated meeting other people who had suffered brain injuries. It is a big comfort knowing that there are people who understand what it’s like to have your life turned upside down. I wouldn’t be where I am today without Momentum’s help and support. It is important to me to thank them by raising funds for their Grampian Brain Injury Centre, based in Aberdeen. I couldn’t be happier to be holding our third Top Hats & Tiaras Grand Ball on 14 September this year at the Aberdeen Hilton Treetops Hotel in Springfield Road at 7.00pm. The evening starts with a sparkling drinks reception, followed by a 3-course meal and coffee. Entertainment for the evening is the fantastic Burlesque, the band who aims to get everyone on the dance floor from the first song. Our auctioneer for the evening is Highland League legend Ian Thain, helped by our MC for the evening, Rebecca Curran of Northsound 1. I would love for you all to join us. More information and tickets can be obtained from Lucy on 07557 853500 or lucy.wilson@momentumfundraising.co.uk.